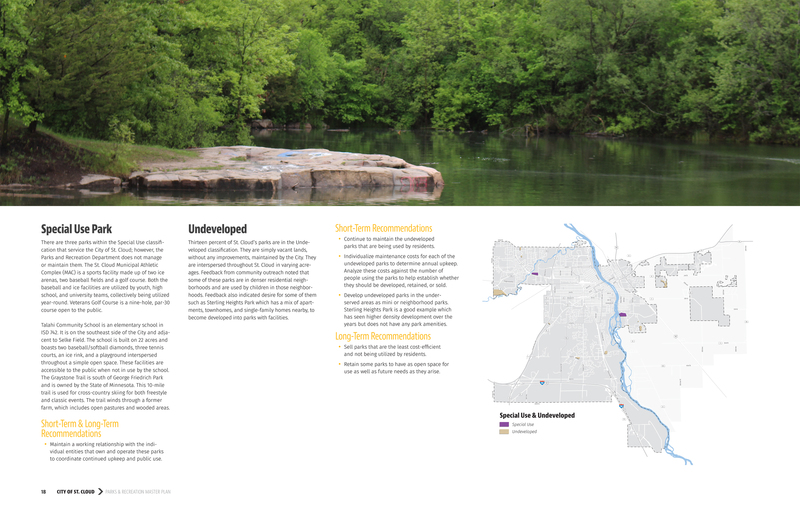 The St. 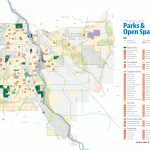 Cloud Parks department manages significantly large number of parks compared to national average for a similar-sized city, resulting in operational and maintenance inefficiencies. 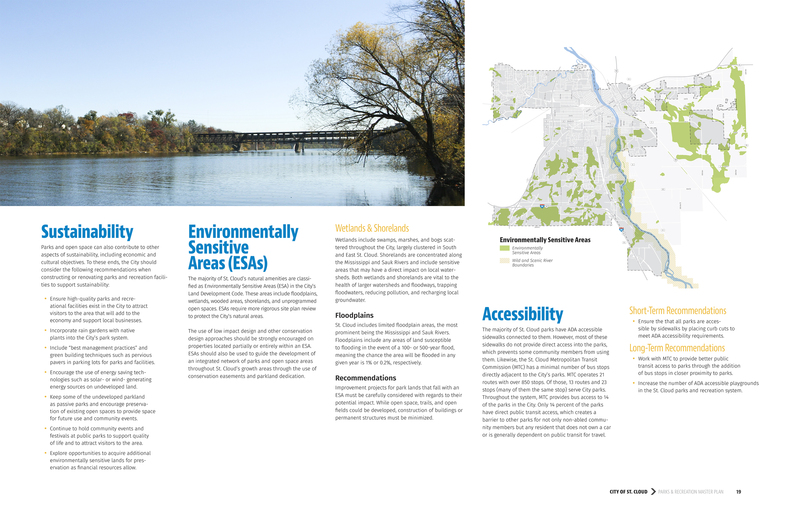 In addition, the changing demographics in St. 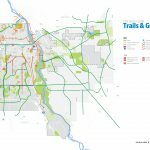 Cloud required new amenities to service the changing resident population. 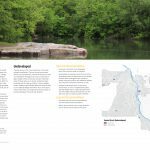 The St. 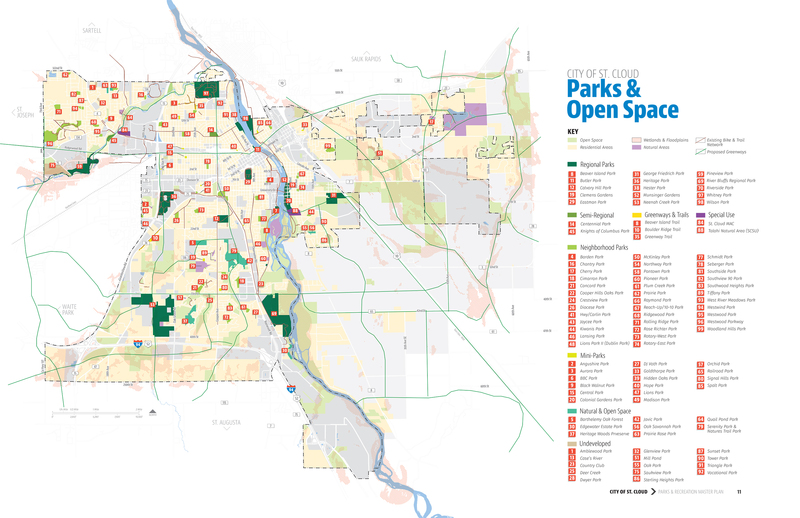 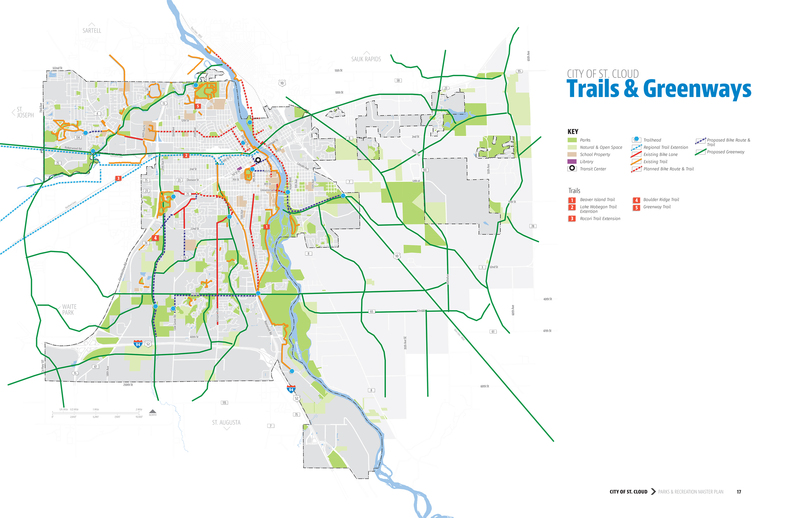 Cloud Parks & Recreation Master Plan process, developed by Houseal Lavigne Associates, includes extensive parks inventory, GIS-based walk-time analysis, and community outreach efforts to understand its park system and community needs. 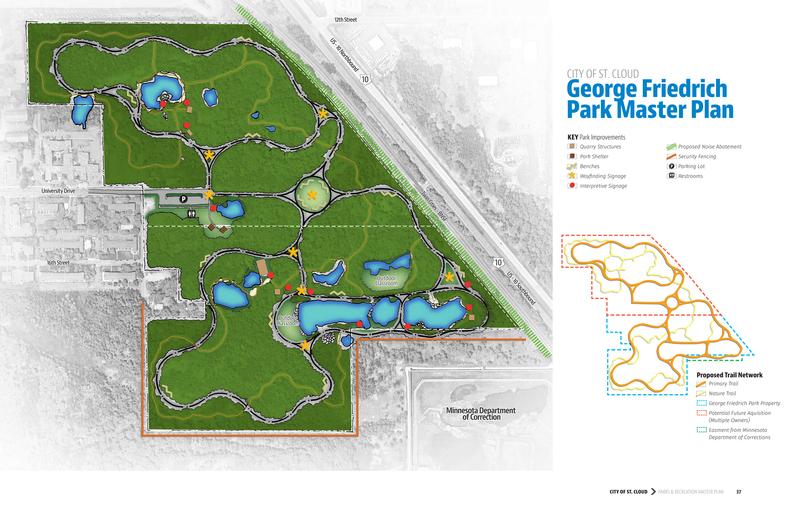 The Master Plan focuses on optimization of parks by divestment of underutilized and undeveloped park land while expansion of recreation programming to more accessible regional parks and trails which cater to the larger population. 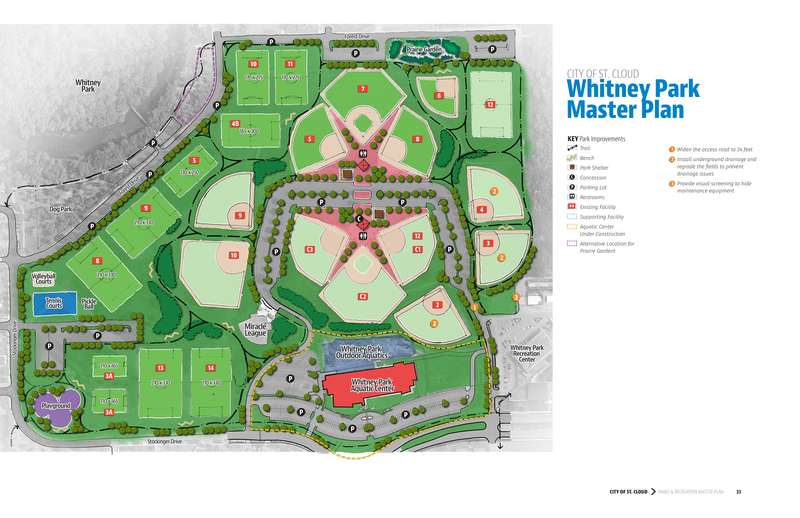 The process entailed development of two park-specific Master Plan-- Whitney Park and George Frederick Park. 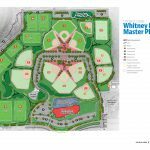 Whitney Park design includes additional soccer fields, reconfigured baseball fields, volleyball courts, playgrounds, tennis courts, pickle ball courts, restrooms, shelter, trails, and additional parking. 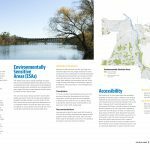 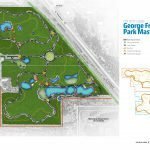 George Frederick Park design includes passive open space, outdoor classroom, recreation trails, nature trails, park shelter, restrooms, and interpretive signage.